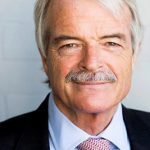 Sir Malcolm Grant, Chairman of NHS England, discusses developing a set of principles to protect the integrity of decision making in public duty. To ensure that no individual should find themselves in a position where there is the possibility of conflict between their NHS duties and other interests, we have set up a special ‘task and finish’ improvement group to look at managing conflicts of interest. The group has focussed on developing a unified set of principles and rules that protect the integrity of decision making in the discharge of public duties. There is no problem in principle in holding of such interests; the NHS benefits from knowledge, skills and expertise that has been gained by employees, non-executives and advisers in different yet often closely related contexts. An example of this would be clinically-led commissioning by GPs through CCGs, for which we have recently issued specific advice. Our concern is to ensure that these other interests do not come into conflict with public duty. This calls for transparency and scrupulous behaviour in identifying potential conflicts of interest and avoiding their crystallisation into actual conflicts of interest. Gifts from suppliers or potential suppliers should be declined with the exception of promotional items of minor value i.e. under £5 which can be accepted and need not be declared. We also considered the principles and rules appropriate to a range of other interests including hospitality, other employment, private practice, commercial sponsorship, shares, patents and loyalty interests. We are engaging with a range of stakeholders over the summer and our intention is to formally consult on our proposals early in the autumn. We heard from Mike Thompson of the Association of British Pharmaceutical Industry about their recent initiative Disclosure UK, which publishes payments from pharmaceutical companies to UK clinicians and organisations. In 2015 there were over £340m worth of payments and 70% of recipients consented to their data published representing around 48% of the total value paid. Mike was clear that this percentage is likely to increase as it becomes a cultural norm for information to be available. The group welcomed the initiative as an important first step in bringing about greater transparency however there was broad support for going further in order to capture all payments from industry and other players to health care professionals. At our next meeting we will consider the importance of transparency in managing conflicts of interest and therefore appropriate publication regimes for registers of interests. Transparency requires that the external interests of those taking decisions or offering advice or exercising other relevant functions are properly declared, both on a register that is publicly available, and specifically in relation to any item of business that may be arising, for example on an agenda. This is not a static process. People’s circumstances are constantly changing. The register needs to be continually reviewed and updated. Professor Sir Malcolm Grant CBE is the Chairman of NHS England. Sir Malcolm is also Chancellor of the University of York, and immediate past President and Provost of UCL (University College London) from 2003-2013. He is a barrister and a Bencher of Middle Temple. As an academic lawyer he specialised in planning, property and environmental law, and was Professor and Head of Department of Land Economy (1991-2003) and pro-vice chancellor (2002-03) of Cambridge University, and professorial fellow of Clare College. He has served as Chair of the Local Government Commission for England, of the Agriculture and Environmental Biotechnology Commission and the Russell Group. He is currently a trustee of Somerset House, a director of Genomics England Ltd and a UK Business Ambassador.